Fort Worth ~ James (Chico) Largent, 66, formerly of Bridgeport went to be with our Lord at his residence Sunday, April 14, 2019. Service will be at a later date. Guadaupe Gonzales will be the speaker. James was born December 11, 1952 to James Harrison and Elizabeth (Haggard) Largent in Bridgeport. 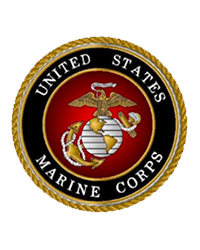 He proudly served our country in the United States Marines. He is preceded in death by his parents; his daughter, Karen Peirce; and his sister, Vicki Largent. Those left behind to cherish his memory are his son, James Duane Largent Jr. and wife Misty of Indiana; his grandchildren, Toni Wright and Joshua Wright; his brothers, Billy Largent of Fort Worth, and David Largent and wife Tina of Fort Worth; his nephew, Zack Largent and his niece, Trisha Severance; extended family and a host of friends.